It’s often said that there is a third type of letter which is semi formal, however, the semi formal letter is usually to a friend in a business situation, or it could be work related such as to a work colleague. I believe that if you are writing to a friend it can always be informal. Which of these below do you think should be written in an informal style? 1. Last month you had a holiday overseas and you stayed with some friends. They have just sent you some photos of the holiday. 2. You have made a decision to leave your current job to work in a new company. If you chose number 1 then you are right. If the letter is to a friend it is always going to be informal. The second letter is to your boss so it will always be formal. What is the structure for writing letters? For both formal and informal the structure is the same and the format is always the same. There will always be 3 points to cover, and they must be written in paragraphs. See below for the 7 step structure. Using the example task in part 1 above, I will open the letter to friends. We always open with Dear + first name. In the writing test you need to make up a name. 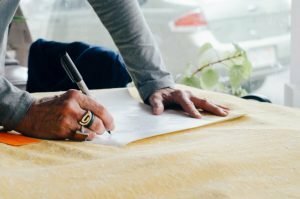 You must also give a quick opening statement or reason for writing the letter. see below. I’ve been so busy that I only just got round to replying to your letter now…..
I’ve been non stop since I got back, so I thought I’d just drop a quick line…. Again using the example from the letter to friends, I will go into detail in this letter. Thanks a lot for your your letter and photos. I’m glad you brought your camera as I left mine in the hotel if you remember. Thanks again for taking the trouble to drive up to Queensland. I had a great time and that trip to Cairns was memorable, especially the diving at the barrier reef. Sorry I didn’t get round to writing earlier but it’s been all go here since I got back. I’ve had a load of paperwork to sort out, I’m also looking at moving to a new flat soon so it’s taking a lot of my time. You said you were both thinking of a trip to Europe next year. If you come to England, I’ll be glad to have you. I’m moving to a new flat and there will be a spare room for guests. It’d be great to have you over and it’s really nice in summer. As you can see from the letter the tone is quite informal and relaxed. I picked out some informal colloquial phrases which would only be used for friends. Remember that in an informal letter it is very similar to a conversation and colloquial language is often used. I’ll be glad to have you…..
It’d be great to have you over…. Contractions are always used in informal writing. Now it’s time to close the letter. There are various phrases we can use and some are colloquial in tone. Look forward to catching up again at some point. 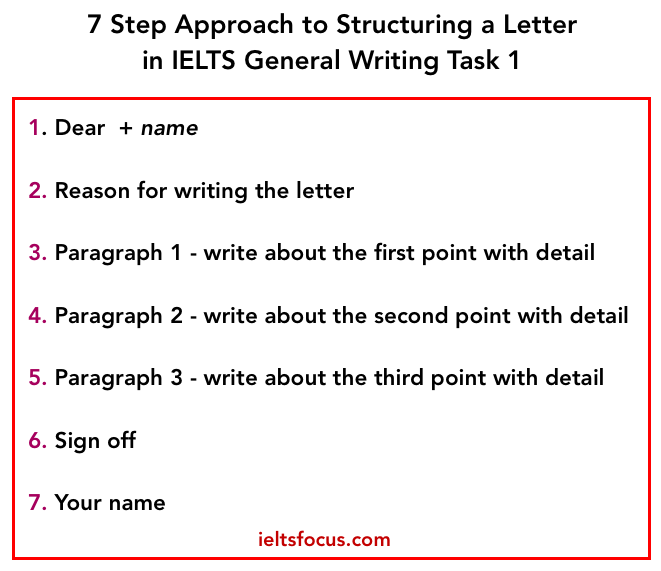 Planning is important, I advise about 4 minutes to analyse the question, think of ideas, identify whether it is formal or informal, thinking of an opening line, paragraphing (3 paragraphs usually) also you can use contractions and colloquial expressions to make the letter appear friendly. If you need further help or writing corrections , take a look at our writing correction service here.